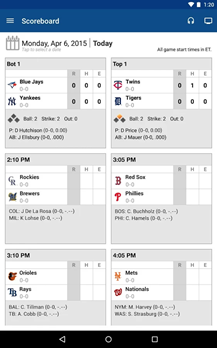 Forget the sound of birds chirping, or the sun still being up when you leave work in the evening; the real sign of the start of spring is just days away, with the 2018 Major League Baseball season getting started later this week. 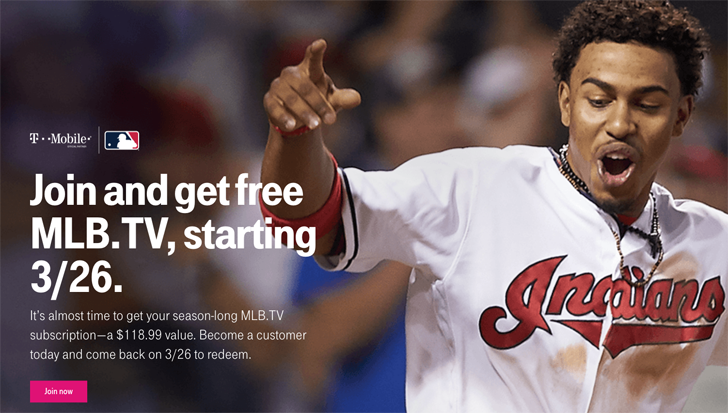 If you don't feel like missing a moment of the action, and just happen to be a T-Mobile subscriber, you're in luck, as the carrier's back this year with another free MLB.TV subscription offer. 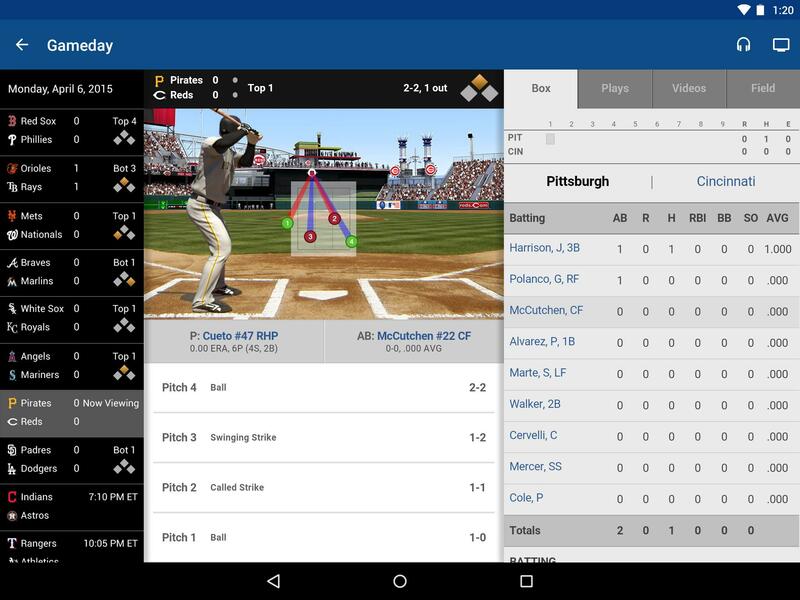 MLB is about as good as it gets when it comes to mobile and streaming presence, but that's no reason for it to rest on its laurels. 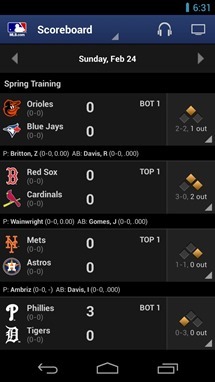 That's why the latest update to MLB At Bat, the league's Android presence for following live action, brings several significant goodies to both free and premium users. 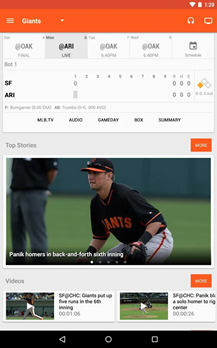 What's more interesting on a technical level is that the app also adds support for Android Auto. 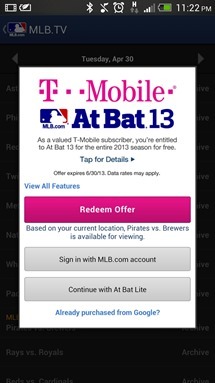 Repeating a promotion offered last year, T-Mobile is giving a big gift to their baseball fan subscribers. 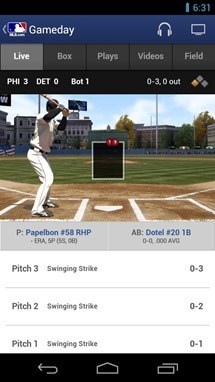 MLB's excellent At Bat app has pretty desirable premium features, but they come at a steep price of $20. 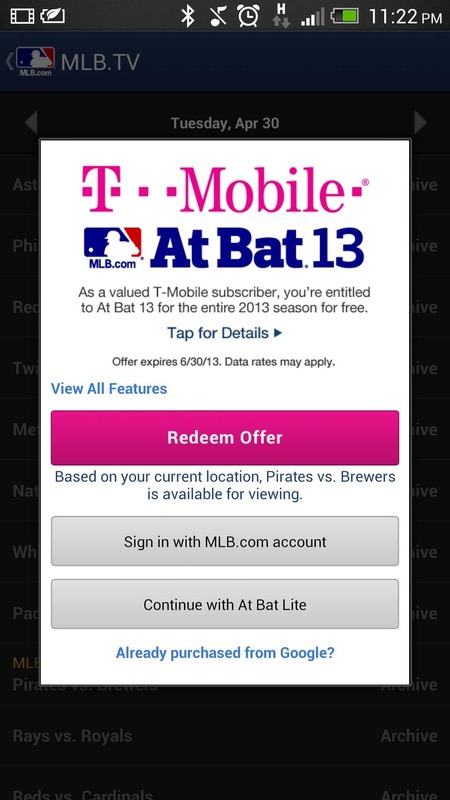 For T-Mobile subscribers, those premium features are going to be free. 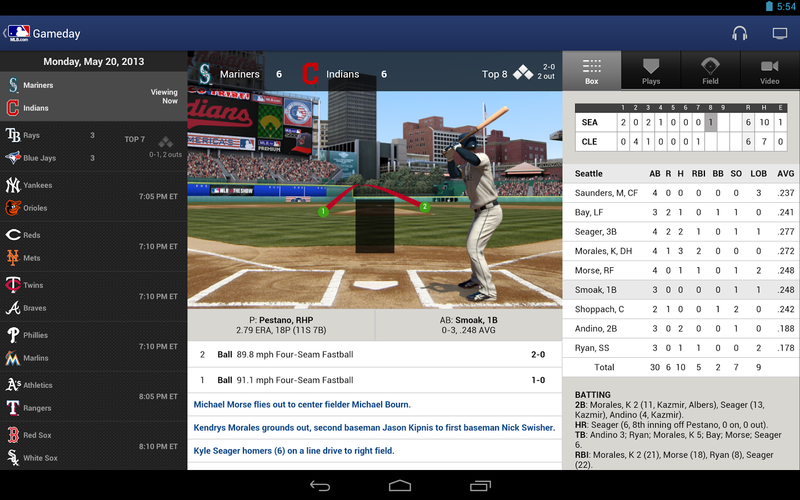 If you are an MLB.tv Premium subscriber, this deal is redundant, but who is to complain about something that is free? Upgrading to a new version of Android is always nice, but Nexus users (and just lately, Google Play Edition users) tend to become unwitting beta testers for a lot of apps. Case in point: MLB At Bat, the official news, scores, and video app for Major League Baseball's online subscription service. 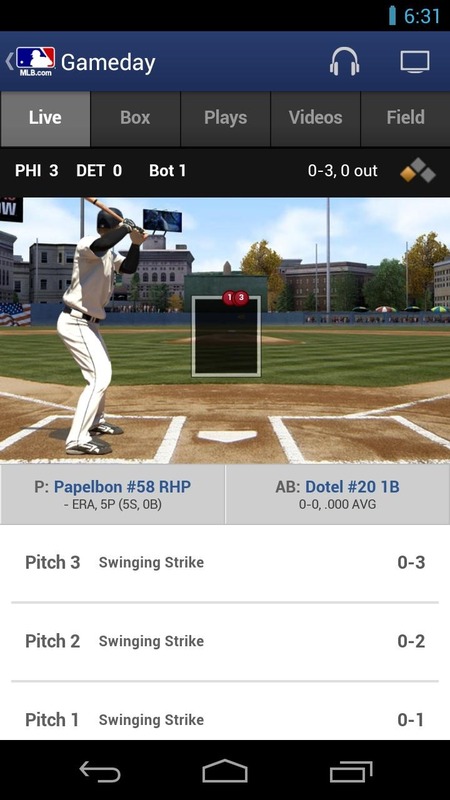 It didn't work for Android 4.3 users ever since the new version of Android launched in July, but according to the latest changelog, the updated app should be streaming video to everyone now. The MLB didn't include a screenshot of the video interface in the Play Store. I don't know why. 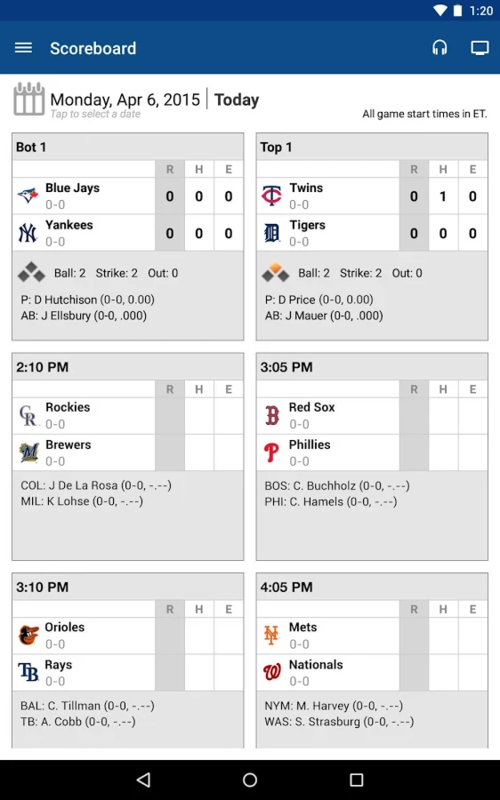 It's the first of May, and you all know what that means: free access to the MLB At Bat app for T-Mobile subscribers starts today! 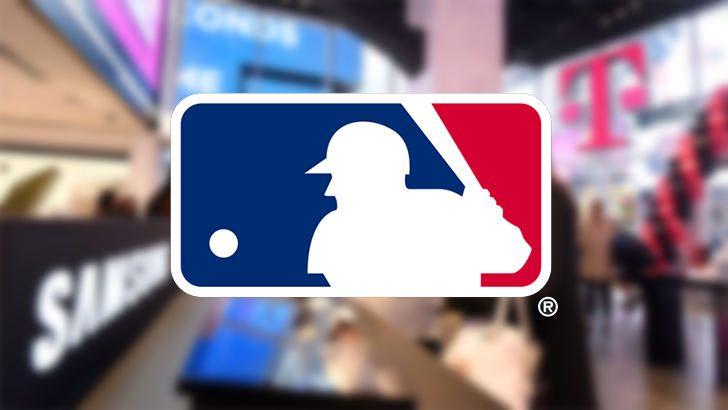 Tmo's multi-year contract with Major League Baseball gives its customers free access to the video and audio streaming app. 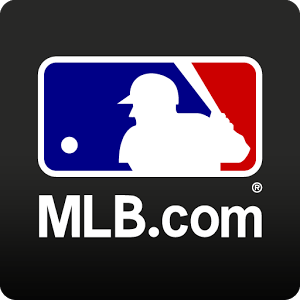 Normally the app and the service are part of the expensive MLB.tv game streaming package, or a separate purchase of $3 a month or $20 a year. 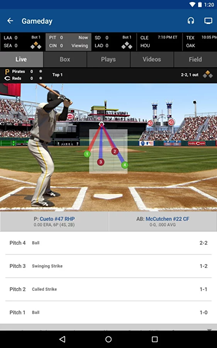 There are some surprisingly strict terms. 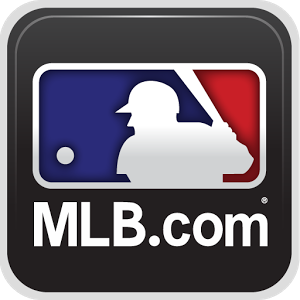 Naturally you'll need an active T-Mobile account to qualify, and you have to download the MLB At Bat app between now and June 30th.